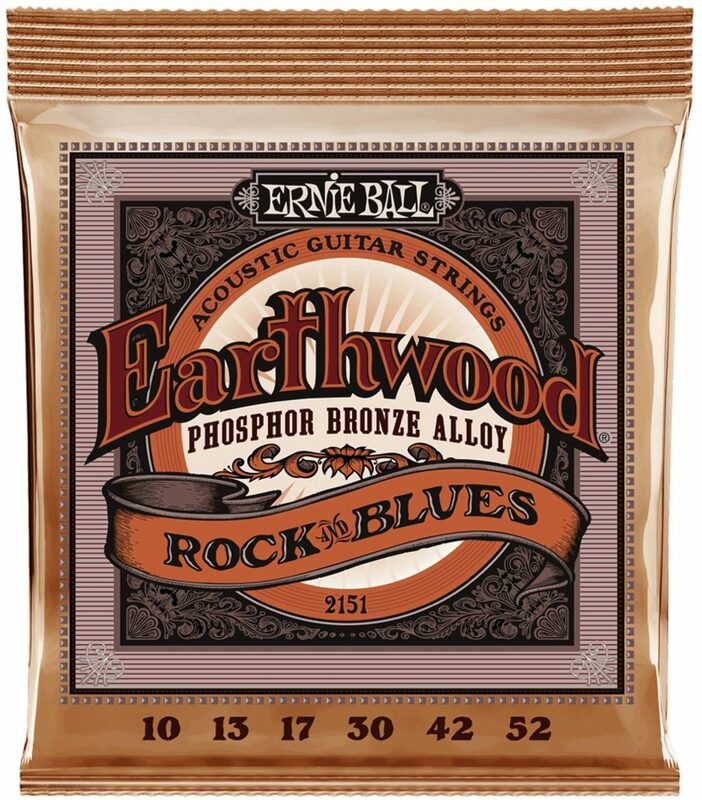 Ernie Ball Earthwood Phosphor Bronze acoustic guitar strings are produced with an exclusive phosphor bronze wrap wire. Engineered to meet the demands of acoustic musicians worldwide, these concert quality strings provide deep, rich bass notes with clear bright trebles. Ernie Ball Earthwood Phosphor Bronze acoustic guitar strings are played by The Counting Crows, The Edge, and Maroon 5 amongst many other touring musicians. 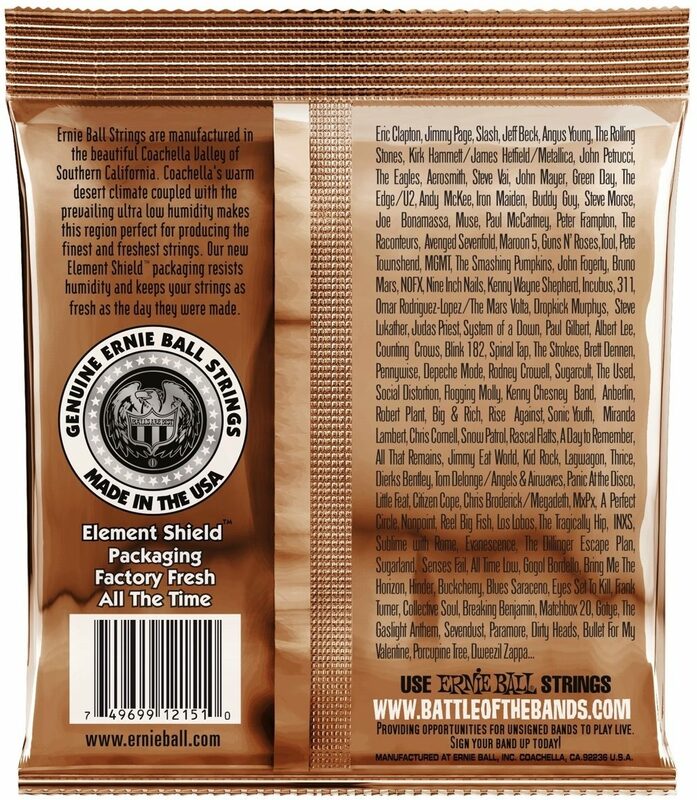 Made with the finest and freshest raw materials, all Ernie Ball strings are hermetically sealed to ensure your strings stay as fresh as the day they were made. - Natural feel with excellent projection. - Element shield packaging prolongs string life and keeps strings as fresh as the day they were made. - Crafted in Southern California, USA. featuring the finest and freshest materials.